This article is about the uses of a good desktop plastic enclosure. Desktop plastic enclosures continue to soar in global popularity. Whether for PC or MAC, these accessories are dust-proof, tamper-free, and extremely cost-effective. Unlike metallic cases, plastic enclosures seamlessly blend in with your computer. They also add a futuristic touch of class to your computer room or workstation. These enclosures and cases are not just relegated to traditional desktops. In fact, there are several covers available for laptops, PDAs, Notebooks, and all types of wireless, remote, and digital devices. These cases play an instrumental role in keeping out dust, dirt, and debris that can damage vital computer parts and components. 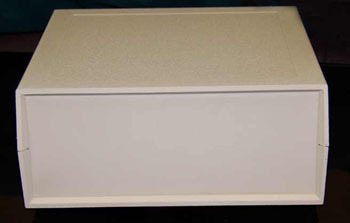 Desktop plastic enclosures are ergonomically designed to ensure optimal flexibility and use. In addition to desktop units, covers and cases are also available for keyboards and keypads. These accessories feature sloping front sections – which allow the displays, controls, and keypads to be positioned at optimal viewing levels. With innovative and cutting-edge external designs, enclosures also enable perfect operating angles for work and social endeavors. From complete see-through plastic to embedded logos, cases are designed in a myriad of styles and textures. Customers can also request customized designs to reflect their logo, brand, or business. As always, there are plenty of existing sized to select from that match your control panel size, PCB size, and even monitor. There are also desktop enclosures that completely or partially cover your systems. This includes PC towers, along with monitors, keyboards, and even mouse units. To prevent excess heat buildup within the enclosure – convenient air vents are available for PC or MAC towers. Selecting the Right Design Choosing the right design does not have to be a tedious process. According to industry experts, the main aspect to look out for is functionality. You also need enclosures that are easy to put on and remove when not in use. As always, make sure these cases and covers correlate with your computers and accessories. The last things you need are units that simply do not fit – or are not flexible in design. These cases can easily be found online or at leading computer accessory shops. You can also compare brands, prices, and industry reviews on the web. This will help you make a worthwhile and informed decision about which desktop plasti enclosure to purchase.